Who says cozy and warm can't be fun too? 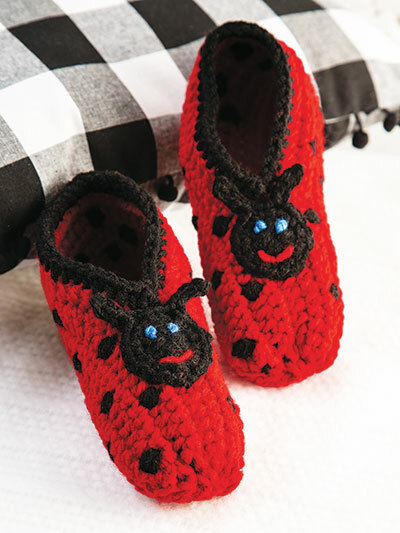 These easy-to-make slippers are sure to bring a smile and encourage giggles. 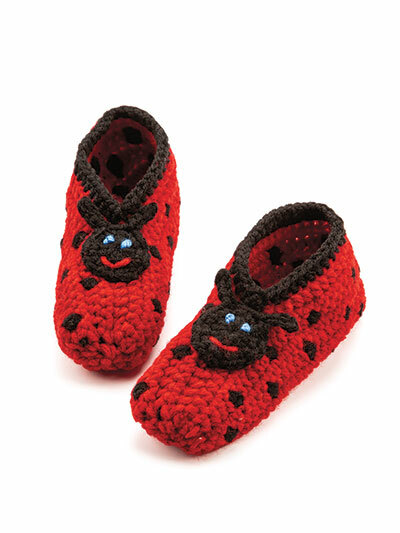 They are made using worsted-weight yarn and a size G/6/4mm crochet hook. Instructions given fit infant (toddler, child). Previously published in Crochet World February 2019.